Every year, more and more firearms hunters are deciding to extend their yearly shooting trips, in order to experiment with crossbow targeting. This not only allows them to continue shooting game for longer, as the season progresses, it also gives them a chance to learn a new skill. The style and nature of the stock, trigger, and sights are all surprisingly similar, particularly if you are an experienced firearms hunter, so there is no reason to fear a move into this territory. Furthermore, crossbow hunting is currently one of the most rapidly growing fields within the hunting sector – the majority of states are now catching up with the trend and starting to pass clear legislation. Yet, crossbow shooting is also the victim of an endless array of misconceptions and unhelpful myths. 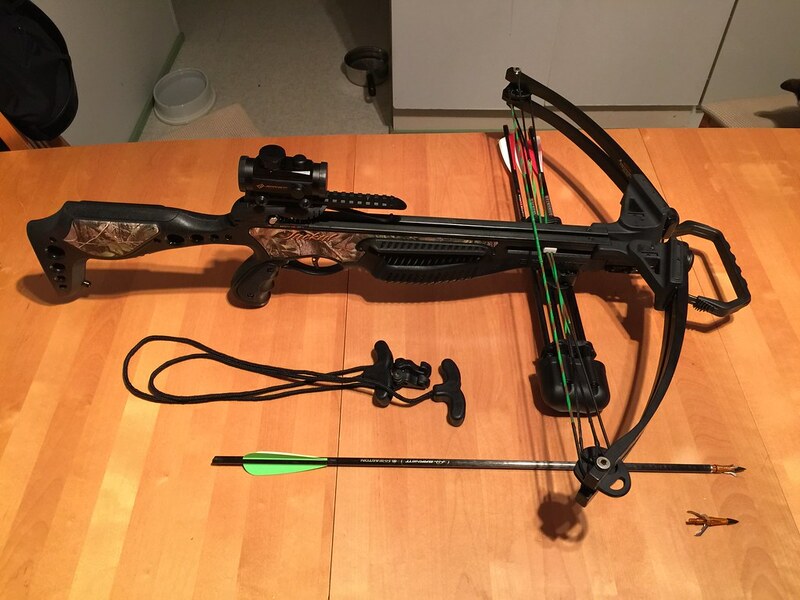 For the general public at least, crossbow hunting is somewhat of a novelty – it certainly does not seem as serious or skillful as vertical bow hunting or shooting with firearms. The good news is that most of these incorrect assumptions can be righted with a proper insight into the nature of crossbow hunting. The first thing to realize about crossbow hunting is that this weapon is not a gun. It does not operate in the same way as a gun, nor does it carry anywhere near the kind of power or velocity of gun. Nevertheless, it is still a dangerous weapon and it should never be handled incorrectly or without the proper level of care and caution. The crossbow is an archery weapon which launches arrows with the equivalent range, force, trajectory, direction, power, and precision as a standard bow can. In other words, it offers the same killing power as a conventional bow. Yet, the crossbow is not necessarily as easy to master as the standard bow, because it usually weighs more (more than a rifle too) and is trickier to load and trigger. The main difference between a crossbow and a conventional bow, when it comes to performance, is the fact that a crossbow string needs no additional muscle capacity, once cocked, to stay prepared until the arrow is ready to be released. This is one of the reasons why the crossbow is a suitable weapon for female and younger shooters, or hunters with age related physical difficulties. Then again, in response to those who would claim that it is simpler to kill an animal with a crossbow than a standard bow, merely because it has this kind of shoulder stock and trigger mechanism, it is important to ask ‘’Have you actually been out and used a crossbow yourself?” One of the most prominent assumptions about crossbow hunting is that only the most costly and powerful weapons are appropriate for heavy duty deer shooting – this is not really the case. The standard crossbow can be bought in a broad selection of different velocity and penetrative capacities, just as guns can be bought with a range of different caliber and cartridge options. The rule of thumb for weight selection, associated with the lowest recommended energy needed to successfully handle a variety of different animals, is generally a scale which is equivalent to that for standard compound bows. If you want to take down large or potentially risky animals (moose, bears, buffaloes, etc.) a top draw weight of 175-200lb offering over 80 feet per pound of force is advised. However, a heavy duty weapon like this is going to be tricky to wield and you might find that you need a cocking support to get your firing on target. For medium to large animals (elk, caribou, etc.) a weapon with a 175lb draw weight should be powerful enough. If you are on the hunt for medium sized animals (antelope, deer, turkey, etc.) a weapon with a top draw weight of 150lb will offer 40-65 feet per pound of force. It will not require you to put a huge amount of effort into cocking either. The weapons in all of these weight classes can be purchased with additional mechanized cocking accessories. This can be a very advantageous detail, particularly for shooters who have difficult with physical labor or lack power in the shoulder. 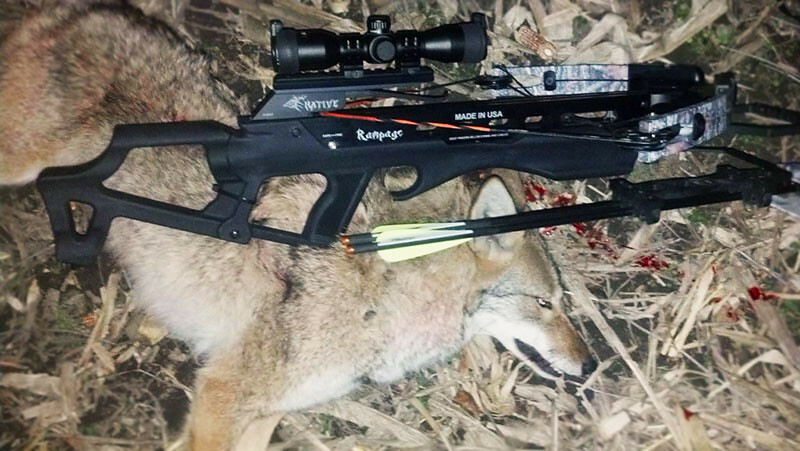 With guns and with crossbows, it is important to carefully match your tools to the prey that you want to take down. Whilst a gun will result in fatality almost instantly (as a result of massive impact shock), an arrow will kill only as a result of hemorrhage or serious wounding. In other words, to be an ethical hunter, you need a crossbow which can offer flawless penetration and a high level of precision. As with standard bows, crossbows can be used to kill pretty much any beast on earth – a crossbow has been demonstrably used to kill virtually every mammal in existence. Yet, this can only be achieved if the shooter has a full insight into the capabilities of their weapon, as well as feeling familiar with its trajectory and its respective benefits and disadvantages. To achieve flawless penetration in mammals with heavy bones, a constant blade broad-head with a hefty weight arrow is the ideal choice. For daintier mammals with thick hides, a hunter can increase their precision by using an expandable broad-head arrow. There should be no real difference between the way in which a person chooses crossbow ammo and the way in which they would choose ammo for a standard compound bow. In fact, the same rules apply to shopping for gun ammo too. The choice can be tricky because there are so many different options available when it comes to crossbow ammunition. To be a skilled, fair, and ethical hunter, you need to learn precisely which arrows are best for your weapon and you need to understand why this is the case. Plus, it is similarly important for any hunter looking to experiment with bows to understand the makeup of the animals that they are hoping to take down. For example, a freshly cut broad-head arrow which travels through the lungs or pierces the heart of a large mammal will kill the animal in a matter of seconds, just as a firearms kill would. However, when shooting with a bow, the only trigger trajectories which are guaranteed to provide this outcome are broadside and quartering away. The front-side and quartering approach trajectories will only allow you to pierce one of the lungs and will leave the heart inaccessible. If possible, avoid these approaches. The standard crossbow is triggered from the shoulder, so it has a clear trigger mechanism and a scope sight. Yet, this does not mean that the weapon can perform at the same distances as a firearm. 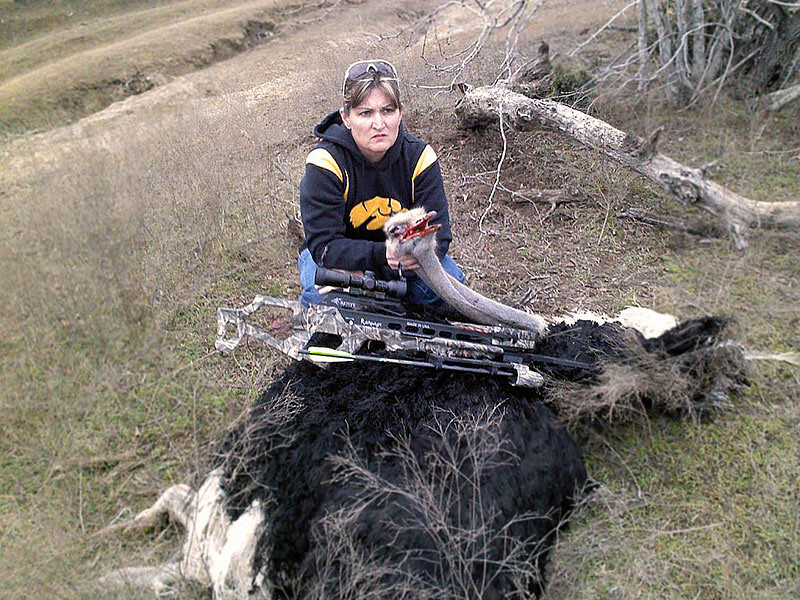 The uppermost recommended shooting shot distance with a crossbow is around forty yards. A contemporary crossbow zeroed at twenty yards will power its ammo around twenty inches low at forty yards, in line with their weight and flight properties. The majority of optical and mechanized sights which can be purchased for contemporary weapons include multi-distance sighting markers, which are usually established at 20-yard, 30-yard, and 40-yard ranges. It is important to remember that each model will carry its own unique pairing. This is why you are advised to trigger every sighting marker at a predefined distance, in order to confirm your specific setup. It is absolutely vital that you do not treat your crossbow as being any less dangerous than a conventional gun. You must be as careful and cautious as you would be if you were handling a rifle, because the crossbow can do a lot of damage if treated incorrectly. Your weapon must come with a manual safety mechanism and, if possible, you are advised to look for one with a grip safety as well. The good news is that there are almost as many crossbow models and choices on the market right now as there are standard compound bows and guns. The finest options are remarkably precise and extremely successful, if utilized at the correct distance. To become a truly skilled bow shooter, you need to understand your weapon, treat it with care, and respect the force and power it can provide.